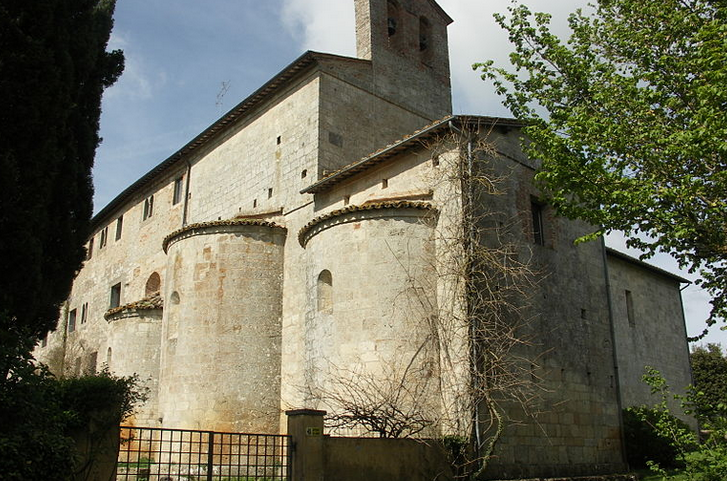 The abbey and Church of the Holy trinity of Spinetta, commonly known as the Abbey of Spinetta, is a Cistercian abbey founded in 1085, located in “Spinetta” in the town of Sarteano. 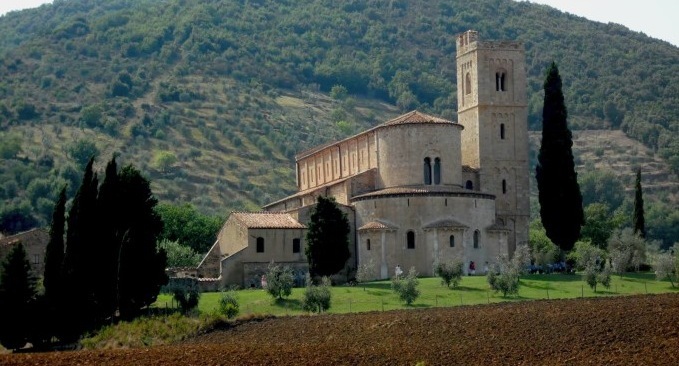 In its structures Ospitalizie the Abbey welcomed the wayfarers who from the nearby Via Francigena transited in the direction of Rome to go on pilgrimage to the tomb of St. Peter. At the end of the fifteenth century began the period of its decay. The abbey was the subject of numerous commanderies and in the 1627 it passed to the Cistercians who remained there until the 1784, the year of its suppression resolved by Grand Duke Leopold II of Tuscany. The foundation already separated from ecclesiastical power was administered by the Hospital of the Innocents, which transformed its original structure into a farm . In 1831 the following steps began to private individuals. In recent years the building structures of the abbey complex underwent an accurate restoration and today are used for important cultural meetings and religious ceremonies.